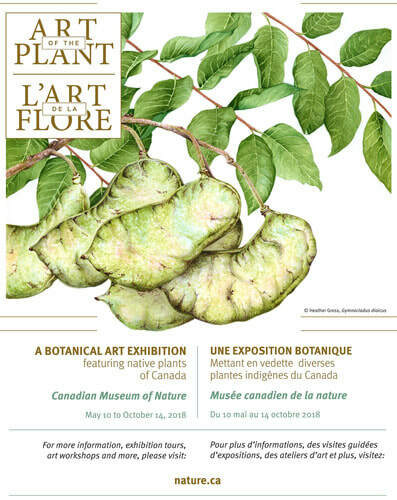 Botanical Art Exhibitions in Canada. Get an exhibition included in the listing! Please use the form at bottom of this page. There are four regular exhibitions of top quality botanical art in the USA. Periodically there are special exhibitions to mark anniversaries or special events. 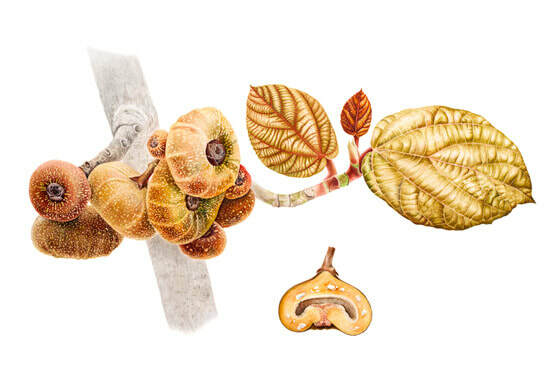 Deborah Friedman documented the California Sycamore as part of her botanical illustration studies with the Royal Botanic Garden Edinburgh. The resulting art work was accepted as part of the traveling exhibition Out of the Woods: Celebrating Trees in Public Gardens. This juried exhibition will consist of two-dimensional, original, botanical art, some of which includes some specimens found at Wave Hill. Jurors selected 48 artworks from an extremely competitive field of about 190 entries. This will feature the illuminated letters of Kandis Vermeer Phillips alongside artwork of plants from A to Z. This exhibition features Kandis Vermeer Phillips' illuminated letters, which are intertwined with plants, mammals and insects. Each letter is paired with a botanical artwork from the Institute's collection to create a literal or amusing relationship between the two, such as the connection of ants with an aardvark and a peony bud, the sunflower as a food source for a cardinal or the similar shapes of a fox's tail and foxtail grass. Having moved on from its normal New York City venue in 2018, this annual international exhibition of the American Society of Botanical Artists is moving to just north of San Francisco in California in 2019.
see entry relating to 'Out of the Woods' above. 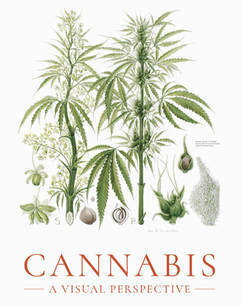 local science related to cannabis - including featuring a local testing lab, Aurum Labs, and work being done by the CSU Agricultural Extension on growing hemp. ‘Disjunction’ describes related species that are widely separated from one another geographically. The 'disjunct' approaches of the artists in this combined exhibition unite through the wonder of woody plants. Angell's interest in unusual, cultivated specimens comes to life in etchings of Asian plants, representing the remarkable history of plant collecting by the Arboretum and other botanical institutions. 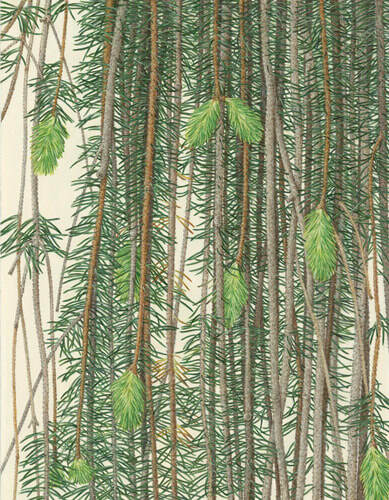 Duncan translates the common and recognizable native plants into intimate and detailed watercolors. 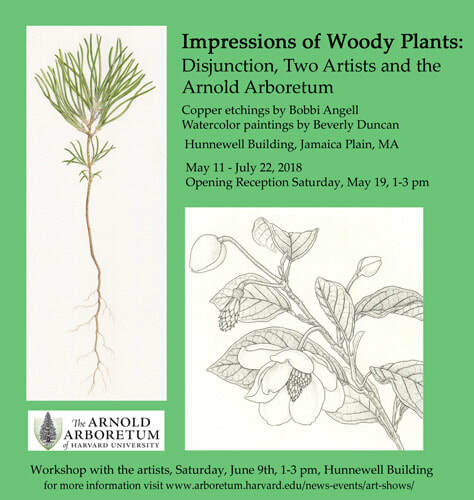 ASBA-sponsored juried exhibit of American plants at the U.S. Botanic Garden. Also features digital views of simultaneous exhibits from around the globe. This exhibit is a partnership with the David Douglas Society, Oregon Botanical Artists (guild) and the Willamette Valley Chapter of the Native Plant Society of Oregon. This exhibit was organized in conjunction with the Worldwide Day of Botanical Art, which took place on May 18, 2018. The exhibit will be a selection of contemporary botanical art by artists living or working in the Pacific Northwest, with a focus on chrysanthemums and other autumnal subjects, particularly those with an Asian origin. Venue: Botanical Research Institute of Texas (BRIT) in Fort Worth. This is the first exhibition of the newly formed Botanical Art Collective of North Central Texas. 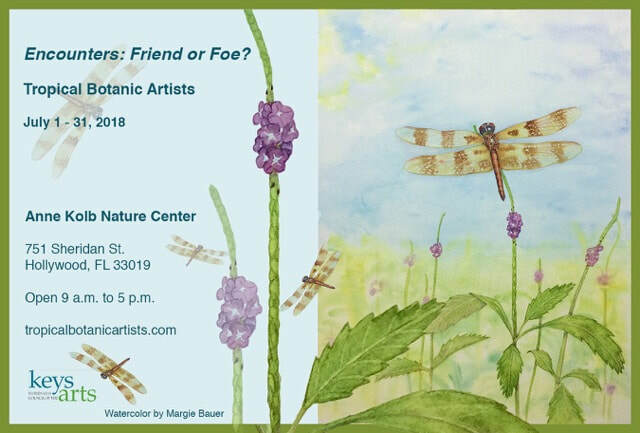 This exhibit features depictions of flowers, fruits, seeds, vegetables, fungi, and grasses executed in a variety of mediums by a variety of local artists. a partnership between the National Postal Museum and Smithsonian Gardens. This exhibition focuses on those sets of stamps published by the US Postal Service which highlight plants and flowers which educate about the nation's botanical heritage. Not all the set are 'strictly botanical' but some are. 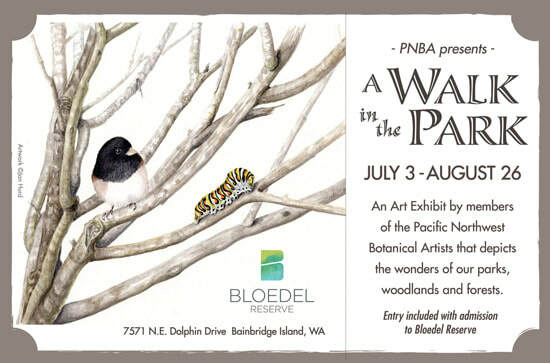 An art exhibit by sixteen members of the Pacific North west chapter of the American Society of Botanical Artists. It depicts the wonders of parks. woodlands and forests and includes paintings of local plants and their related wildlife/pollinators.